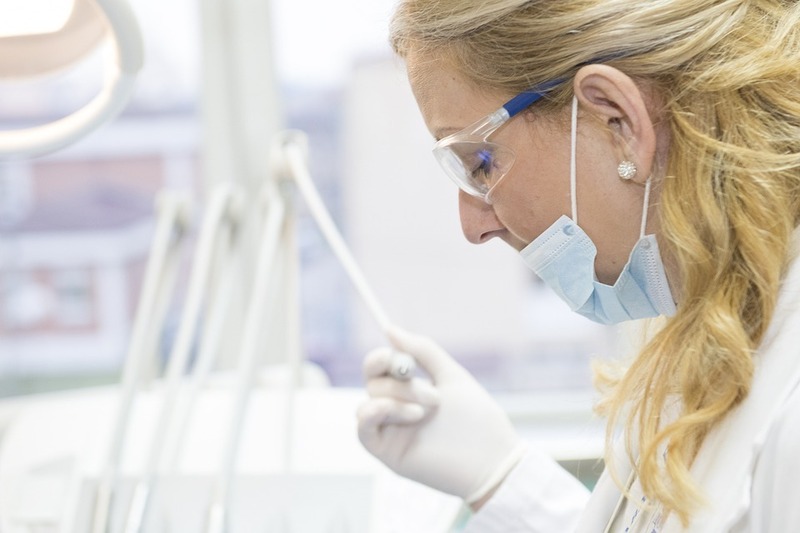 An orthodontist is a dentist who has completed three years of extra study to gain an orthodontic qualification. Most reputable orthodontists are a member of the American Association of Orthodontists (AAO). An orthodontist’s specialization is in the treatment of misaligned teeth and jaws. If these misalignments are not corrected, people can experience such handicaps as speech defects, chewing problems and difficulties in the maintenance of oral hygiene. An orthodontist can treat “under bite,” which is what results when the bottom teeth are further forward than the top teeth and “overbite,” which is when the top teeth are further forward than the bottom teeth. Poor chewing can result from these imperfections. The overcrowding of teeth is one of the commonest problems that orthodontists treat. Sometimes due to insufficient space around the jaw bone adult teeth fail to erupt in alignment with teeth that are already present. There are various treatment options that an orthodontist has at his or her fingertips that can correct this problem. If jaw or teeth alignment is considered necessary then the orthodontist will conduct a thorough examination of the teeth and jaw which includes the use of panoramic x-rays and bite impressions that will be taken before the orthodontist makes any treatment recommendations. . Some of the possible treatment options used by orthodontists include the use of dental braces, which are a combination of brackets fixed to each tooth, and an archwire, which is used to link each of the brackets. This method gently eases the teeth into correct alignment. Dental braces come in a variety of materials, which could include metal, ceramics and even clear or invisible materials. Facemasks and headgear are two further devices that are used to correct overbite or underbite. They are used in conjunction with braces which are designed by the orthodontist to fit around the head and then attached to the braces. This sort of setup helps to encourage the jawbone and teeth to align correctly. It may look a bit clownish but it is all for a good cause and that is improvement in the use of the teeth and facial appearance. Once the dentist has realigned the teeth through the various different methods available, a retainer is the next step in the orthodontic treatment procedure. This is kept in place in the mouth sometimes permanently and sometimes temporarily and it helps to ensure the teeth do not try to move back into their original position. Sometimes, retainers only need to be worn until the underlying bone has adjusted to the repositioning of the teeth. Orthodontists always recommend that a child should make their first orthodontic consultation and evaluation by the time he or she has reached aged 7 because many orthodontic treatment options can have a more desirable effect at an earlier age as possible. Team Demas is the group of fully qualified and professional orthodontists who are motivated by their desire to provide the very best treatment for their patients. Contact us today for an appointment.